Chilli and Spice and All Things Nice! We fancied a bit of Spice this Christmas and so for our recent festive themed supperclub we turned to Thomasina Miers’ ‘Chilli Notes’ – a lovely homage to everyone’s favourite capsicum. Using this book as our guide for a menu, we cooked up treats that showcased not just chilli heat but the fruity aromatics too. This entry was posted in Past Events, Reviews and tagged 2014 Dates, Chilli, christmas, Leeds, Supper Club, supperclub, Thomasina Miers, Underground Dining, Yorkshire on December 28, 2014 by martinimanleeds. Next weekend we’ll be hosting our final supperclub of 2014! Where does time go? As usual, for our last supperclub of the year we’ll have a festive theme, and this year we’re bringing a bit of spice and heat, using Thomasina Mier’s Chilli Notes as our guide. 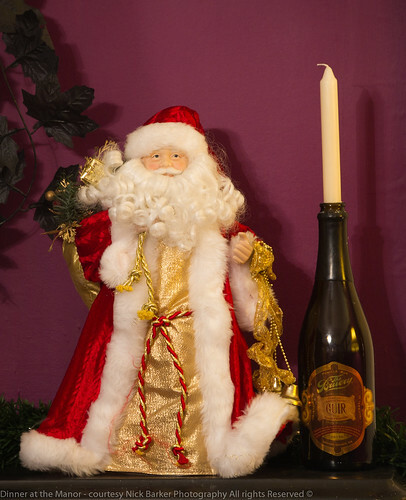 Warming, comforting food to bring some festive cheer to December? Yes please! This entry was posted in Menus, Upcoming Events and tagged 2014 Dates, Dinner at the Manor, Leeds, Menu, Supper Club, Thomasina Miers, Underground Dining, Underground Restaurant, Yorkshire on November 29, 2014 by Susie Barker. We got our bake on again the other weekend, and this time Autumn was our inspiration – queue lots of brown, beige and orange bakes! We’re covered in scaffolding at the moment as the Manor is having a new roof put on. So it was lovely to dust down and get out the vintage crockery, if only to bring back a temporary sense of normality to the Manor! 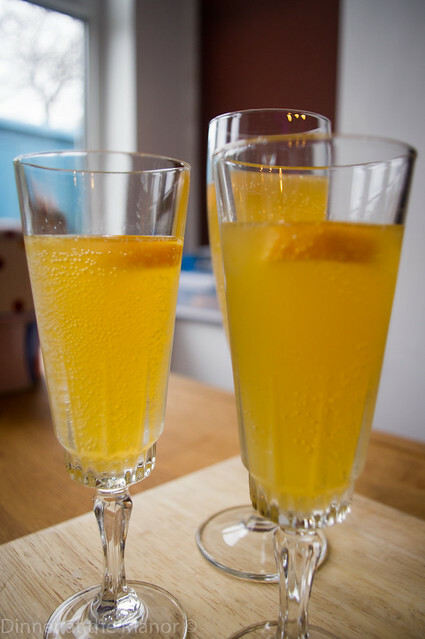 Our welcome cocktail was an invention of mine – lady marmalade. This was bourbon and orange liquers mixed up with orange juice, lemon juice, ginger ale and lemon syrup. 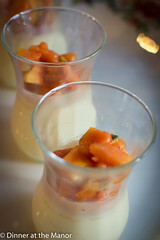 Guests seemed to love this for its refreshing, fruity spiciness. 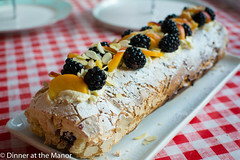 I’ve promised to post the recipe in due course so watch this space. For savouries I kept it simple but tasty. 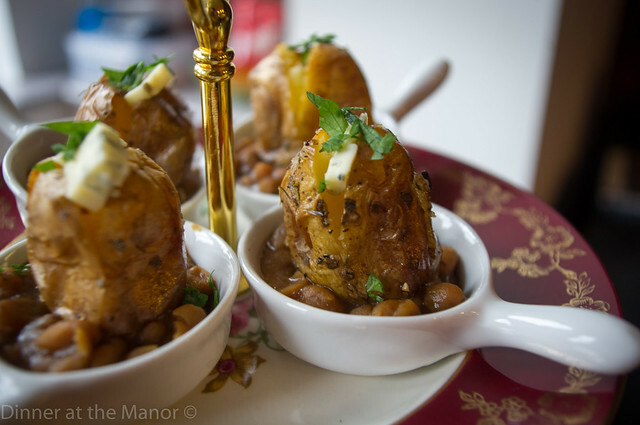 Around bonfire night I love a good jacket potato, and so for the tea I did mini ones with a salty, herby crust. I served these atop home baked Boston beans. Haricot beans were slow cooked with treacle and bacon – leaving you with something that tastes just liked the famous brand, very bizarre! My other offering was a tasty slice of rarebit with Yorkshire stout and Wensleydale cheddar. The salty, umami flavours worked really well with my sweet tomato and apple chutney. I ate a good few of the leftovers! 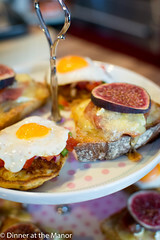 I think rarebit is very underrated! 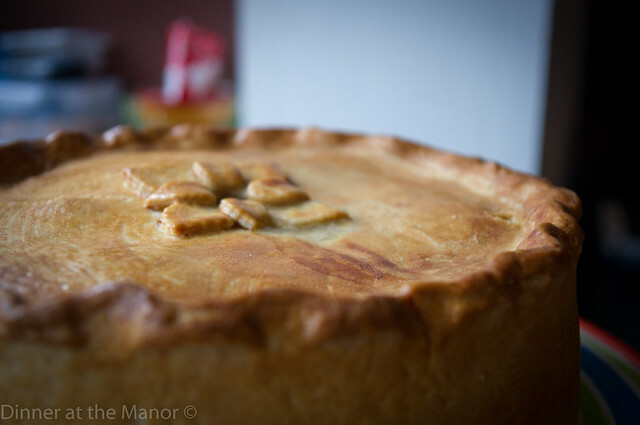 Susie prepared one of her trademark pork pies – a very beautiful thing indeed! She mixed it up a bit by putting some apple in the meat mix, leading to a sweet and succulently soft pie. Guests were salivating over this and I’m not surprised. Susie’s other treat were fishfinger baps – the ultimate in comfort food. 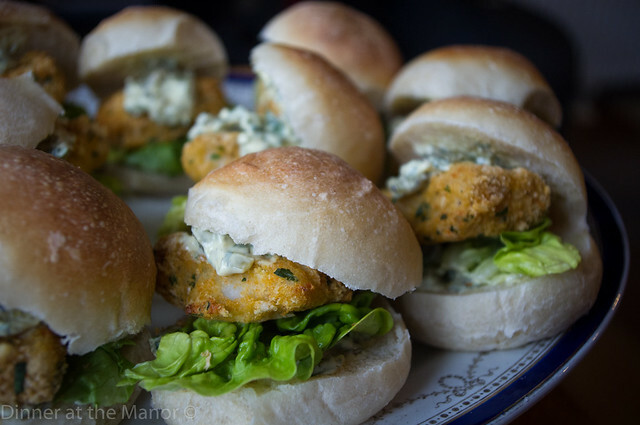 Line caught cod was breaded and baked and then served up in Susie’s homemade baps and homemade tartar sauce, yum! Bakewise I was keen to try my hand at a pumpkin pie. I steamed pumpkin pieces until tender and then passed through a sieve to produce a smooth puree. This was then mixed with spices, eggs, maple syrup and lots of sugar to create a very bizarre custard! This was baked in my homemade sweet walnut pastry. The outcome was not dissimilar to a cheesecake as the savoury element of the pumpkin played through in an subtle sour way. 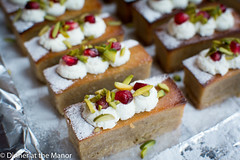 I served it with grand marnier cream, crystallised ginger and candied pumpkin seeds, which were lovely and nutty. I also baked up some friands – a cake I am quickly becoming obsessed with for their nutty, chewy moistness! 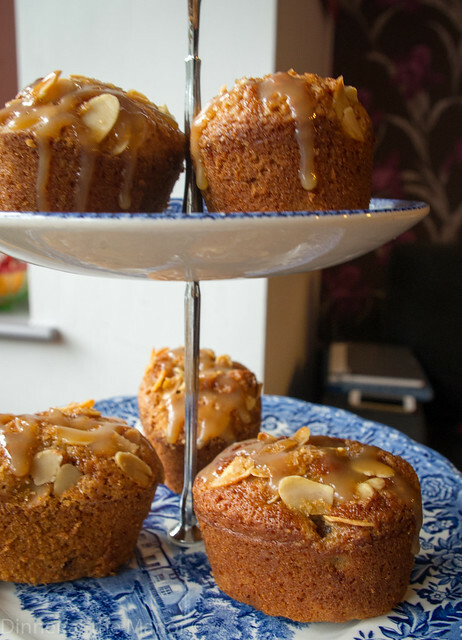 This time I used my homemade mulled pears, ginger and almonds in the mix and then if that wasn’t enough I topped them all with lashings of salted caramel! I’ve discovered Nigella’s easy recipe, which is much simpler than faffing around with sugar thermometers. 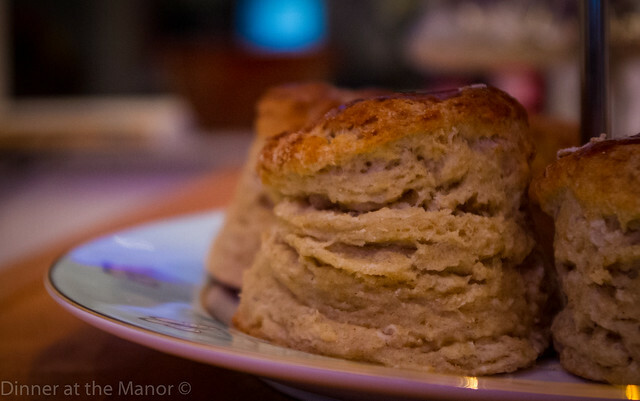 Susie baked up the obligatory scones, these were a lovely vibrant yellow from the fresh eggs she used. 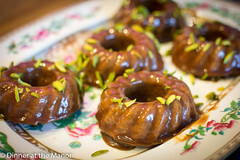 We served these with homemade apple and damson jam. Whilst I have been obsessed with friands, Susie has been obsessed with choux pastry! 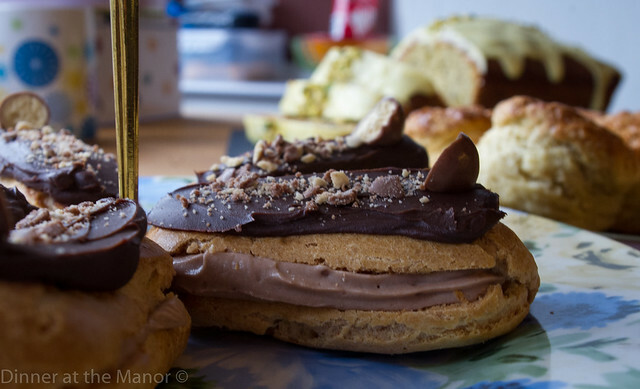 She’s been experimenting with eclairs over on her Sticky Pinny site. For the tea she created moresish little malted chocolate eclairs. 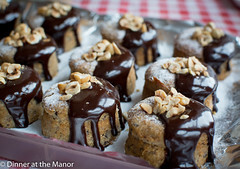 Choux pastry was filled with a malted crème pat and decorated with a luxurious chocolate ganache and crumbled maltesers! 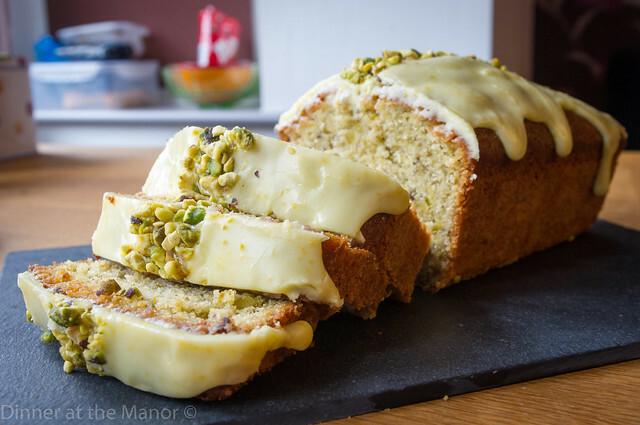 Her final offering was an orange and pistachio cake. 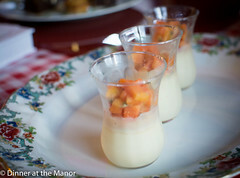 This was a colourful, fruity interlude in what was otherwise a very Autumnal menu! Guests didn’t have any room for this cake so they all went home clutching doggy bags! 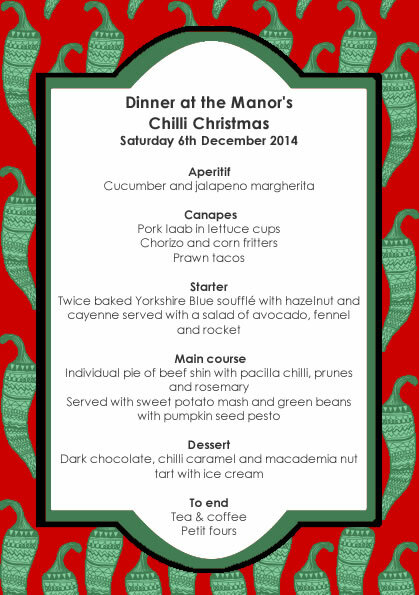 So as 2014 is drawing to a close we have one last event this year – our chilli themed Christmas supperclub. We’re just putting the finishing touches to the menu and will publish soon. Hopefully by then the building work will be done and the scaffold will be down so that we can celebrate Christmas properly! 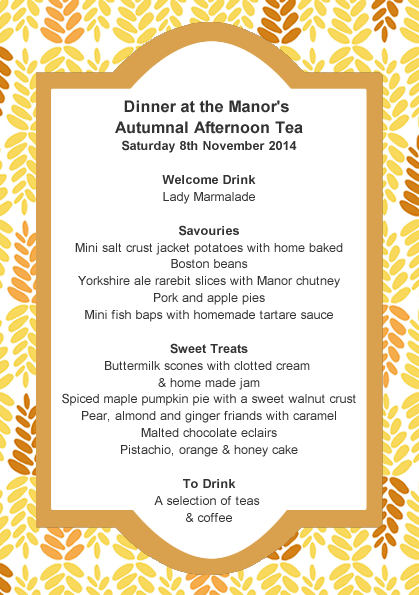 This entry was posted in Past Events and tagged 2014 Dates, Afternoon Tea, baking, cakes, Dinner at the Manor, Leeds, Undeground Tearooms on November 23, 2014 by martinimanleeds. The nights are drawing in and the weather’s cooling down, so what better way to step into Autumn than with our afternoon tea event next weekend! We’ve pulled together a menu of warming, comforting classics with all the Manor twists. 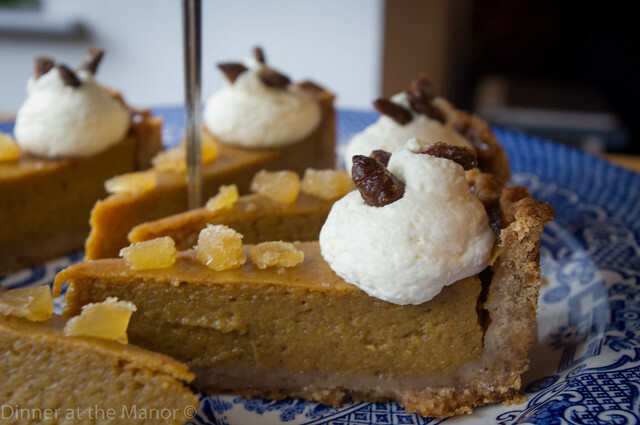 This entry was posted in Menus, Upcoming Events and tagged 2014 Dates, Afternoon Tea, baking, Dinner at the Manor, Leeds, Menu, Supper Club, Underground Dining, Yorkshire on October 30, 2014 by Susie Barker. Beer + Meat = THREE! This weekend saw us celebrate in style for our third birthday, wow time flies! Our little supperclub is now a terrible toddler and growing up fast. We did away with our usual habit of theming the event around a specific cook book and instead based it, selfishly, around our two favourite things – meat and beer, whoo! The beer was provided by our good friends at Brewdog, who were keen to see how their beer could be used as an ingredient and also how it paired to our food. Susie and I worked with the lovely Russ (Brewdog Northern Sales Manager and general beer geek) to design a meaty menu and pair appropriate beers with it. 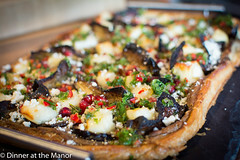 We wanted a menu that would excite and then fill up our guests with lots of meaty goodness! 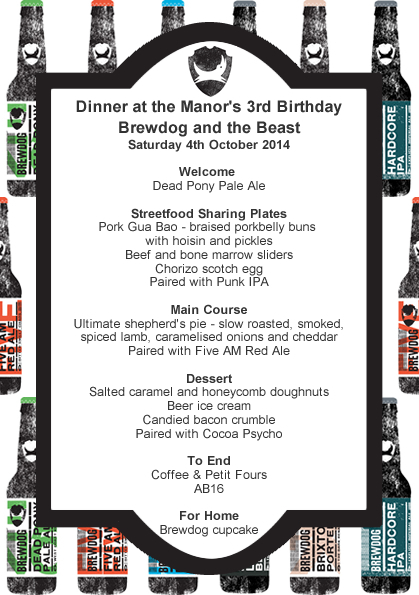 This entry was posted in Past Events, Reviews and tagged 2014 Dates, beer, Brewdog Brewery, Dinner at the Manor, Leeds, meat, Real Ale, Supper Club, Underground Dining, Underground Restaurant, Yorkshire on October 7, 2014 by martinimanleeds. 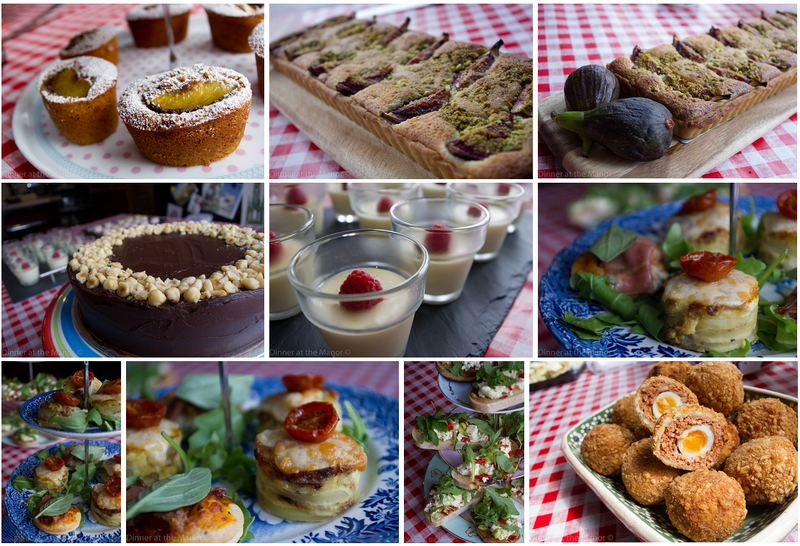 October Menu – Our Third Birthday! On October 4th we’ll be celebrating three years of running our little supperclub! Never did we think we’d last this long! We’ll be holding a special event and serving our guests some meaty treats, from uber modern streetfood to traditional dishes, with a twist. We’ve linked up with the wonderful Brewdog Brewery to pair up each of the courses to some fantastic beers! 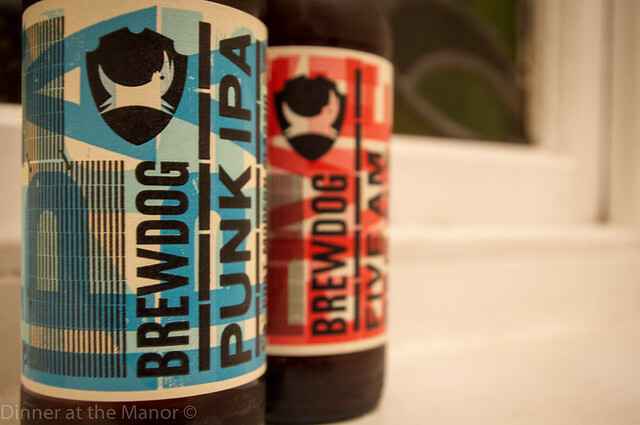 Russ from Brewdog will be at the event too to chat about all things beer! It’s going to be a fabulous evening, we can’t wait! This entry was posted in Menus, Upcoming Events and tagged 2014 Dates, beer, Brewdog Brewery, Dinner at the Manor, food, Leeds, Menu, Supper Club, supperclub, Underground Dining, Yorkshire on September 24, 2014 by Susie Barker. 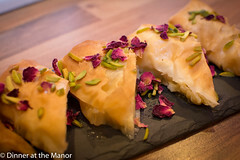 On Saturday Dan and I hosted eleven wonderful guests at the Manor for an afternoon of Mediterranean teatime treats. Taking inspiration from our our friends across the water, including Spain and Italy, we created some unique bold tastes for our guests to enjoy that would take them to warmer climes, at least for a couple of hours! 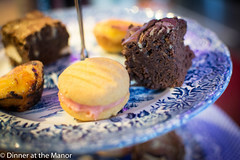 This entry was posted in Past Events, Reviews and tagged 2014 Dates, Afternoon Tea, baking, Dinner at the Manor, Leeds, Supper Club, Undeground Tearooms, Underground Dining, Yorkshire on August 20, 2014 by Susie Barker.